A rarely seen winter squash variety in the UK, this is an impressive and reliable producer of huge fruits even in poor UK summers. The vines have the potential to grow to 20ft in any direction, but are easily contained by turning them back to centre. Large, pink banana-shaped fruit are produced in abundance and average 15-20lb but can easily grow to 50-60lb (4ft long) during good summers with care. 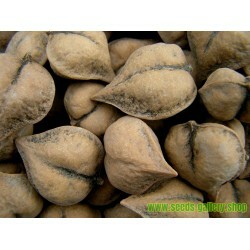 The fruits are fine flavored, dry with sweet orange flesh and store well in a cool frost free location. · A sunny spot protected from strong winds is essential. · The soil should be well drained and rich in humus, the more the better. When preparing the site; for bush varieties (Courgettes) allow 24in between each plant and for trailing varieties 36 – 48in. · For an early start (late Mar) place a single seed edgeways 1/2inch deep in seed compost in a 3inch pot. The critical part is temperature, these need at least 65F continuous soil temperature (preferably more to maximise germination rates) until germinated, so a propagator, well heated greenhouseor airing cupboard is ideal - gradually harden off seedlings after the last frost before planting outdoors. The most common reason for poor / zero germination is low / uneven soil temperature coupled with too much moisture. · Outdoors you can plant from around late May in southern areas if warm ( The larger seed types are still best sown in a pot to guarantee germination and soil temperature which needs to be 65F+). We would also advise planting up to 3 seeds per hole and thinning to the strongest, as you have less time to plant more if any fail. Make sure you protect the seedlings as they emerge, slugs and snails will love them. · Keep the soil moist – water copiously around the plants, not over them. · Keep weed free to allow air circulation. 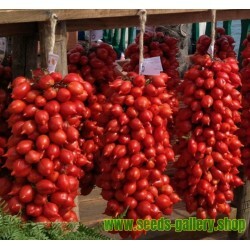 · Once the plants start to fruit, feed every 14 days with a tomato type fertilizer, these are greedy plants. 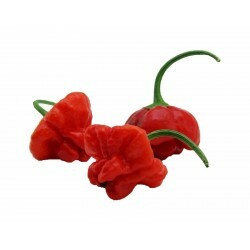 · These will fruit early and rapidly become prolific, as the bush / vines grow. For most summer squash the key thing is to pick the fruit small and tender and they will keep fruiting all summer until the first frost. A knife is best to remove fruit. 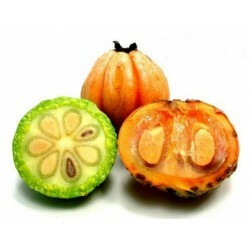 · If any fruit get to big, cut and discard to encourage new flowers. · Some people are allergic to the tiny bristles / spines on courgette leaves. If in doubt wear gloves. 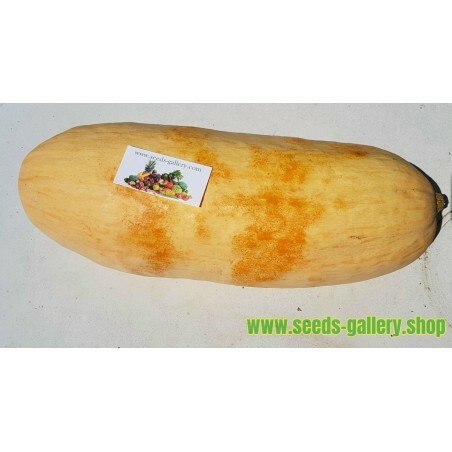 · Leave the last courgettes of the season to swell and they can be harvested as small marrows. · Courgettes / summer squash do not keep well for more than a week; there again you will need to be eating them quick to keep up with production. · For spaghetti squash – keep harvesting when around 10 inches. These will store for 6-8 weeks max if kept cool and dry. · The soil must be well drained and rich in humus, the more the better. I fill each hole at least 12” square with garden compost and paper at the bottom into which goes a single plant. For bush varieties 24in between each plant is fine – 48in for vines. 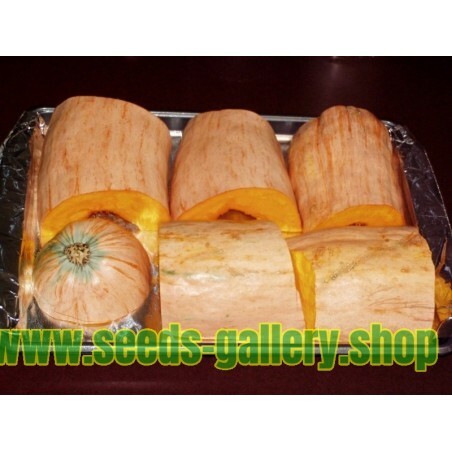 · Many winter Squash / Pumpkins like to sprawl out and need plenty of space. Vining Squash / Pumpkins require a larger area to run, whilst semi-vining and bush varieties of winter squash / courgette can be well contained. If space is tight just keep turning the branches back to the centre to prevent spreading and over-running other plants. · For an early start (Mid / Late Apr) place a single seed edgeways 1/2inch deep in seed compost in a 3inch pot. The critical part is temperature, these need at least 65F continuous soil temperature (preferably more to maximise germination rates) until germinated, so a propagator, well heated greenhouse or airing cupboard is ideal - gradually harden off seedlings after the last frost before planting outdoors. The most common reason for poor / zero germination is low / uneven soil temperature coupled with too much moisture. · Outdoors from around Jun you can plant direct if the weather is warm, however I would advise planting up to 3 seeds per hole and thinning to the strongest, as you have less time to plant more if any fail. 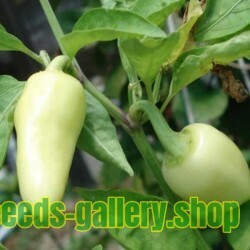 Also the plants will struggle with the shorter growing period if it is a poor wet summer. · Placing a mulch / black polythene before the fruit formation helps later on keeping the fruit clean and ripening. 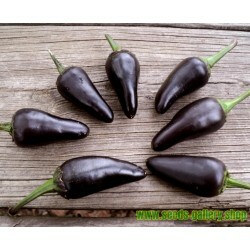 · Once the fruits start to swell feed every 14 days with a tomato type fertilizer, these are greedy plants. Limit larger fruiting varieties to 2-3 fruits (for giant pumpkins 1). 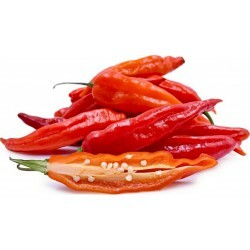 · The most important part of harvesting is making sure you harvest them before the first frost. As the Squash / Pumpkin approach maturity and are ready to harvest, you’ll notice that the fruit stems will start to dry out and wither. Depending on where you live, you can expect to start harvesting in late Aug to September. · Because of the vast varieties of sizes and colours, the rule of thumb for harvesting winter Squash / Pumpkin is when they are a full size and have a deep rich colour. The rinds should be hard to the touch. If you harvest your winter Squashes / Pumpkins too early, they may lack flavour and not keep well. Before the first frost of winter and really wet weather is essential. 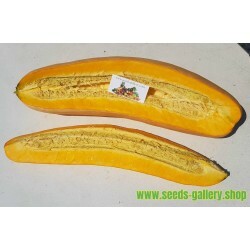 Cut through the stem and remove the Squash / Pumpkin, leaving about 2 ½ inches of the stem on the fruit. A short stem can lead to rot. This may not be possible with smaller varieties, however. In these cases, preserve as much as the stem as possible. It’s also important not to damage your Squash / Pumpkin when harvesting and storing, as they can go bad more quickly. Try avoiding manually breaking the stem at all costs. Store you Squash / Pumpkin in a dry place with temperatures under 60°F. Winter squashes / Pumpkins are best “cured” before storing. Curing your squash requires storing them in higher temperatures (around 68°F or slightly higher) for at least fifteen days (a windowsill or greenhouse is fine). You can then move them to a cool, dry place. Never store the fruit where there is a risk of freezing.